The settling of the Western United States is not a piece of the American story I am familiar with. Through this latest offering from Jane Kirkpatrick – I want to know a little more. We meet Eliza Spalding Warren after the death of her mother, and just as she is coming of age. She struggles with past memories of a time when she was held hostage during an a Cayuse Indian uprising. Without naming it, we are very accurately walked through moments of PTSD shown through flashbacks. Eliza is largely responsible for the care and maintaining of the family home while her missionary father continues with his work- how ever joyless it is for him. 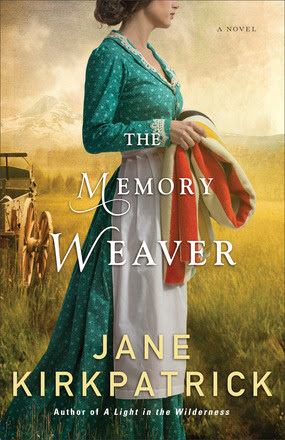 She falls in love and longing for a different life – she and Mr. Warren elope. Life is hard for them, but they are a determined to succeed, despite a myriad of personal demons they both carry, as well as simply the challenge of life in a wilderness state. Always trusting in a God who is very real to Eliza, her husband comes to know and follow God’s plans. We learn from Eliza’s mother’s diary of events in the past, and the foundation of Eliza’s inheritance of faith. We learn that although facing the past – even as our own recollections might not be the exact way things happen – is healing. Eliza has occasion to revisit the site of her trauma, and by talking with people who were there with her, she sees that God was placing every detail of her protection all along. The lesson for us all is that by facing our past hurts and wounds, with God’s help, we can see the truth of our triumph through and in spite of them. We might even see that God uses these to make us stronger and healthier for it. I enjoyed this read – it was great to learn an aspect of American history I had not known before. It was also a great way to illustrate the brave steps we each must take, as we seek to recover from past traumas. Thank you to Baker Publishing Group and Graf-Martin Communications for providing this book for my independent review. I wish I had been able to read this book about 23 years ago, this week. You see, as this appears on my blog, my beloved and I are 1 day away from our 23rd wedding anniversary. While we did pre-marital counselling (after a fashion really, it’s hard to have those conversations with your dad! ), went through an Prepare (R) Inventory (which was bang on about what our growth areas would be), it still was not always an easy and perfect path. A grace-filled one, but certainly not perfect and not always bliss filled. Shelia speaks and writes with an honesty and candor I love. Her desire is that couples experience marriage in all it’s fullness, as God planned it – and she pulls no punches when she tackles topics that might make most of us squirm. Her latest offering is no exception. 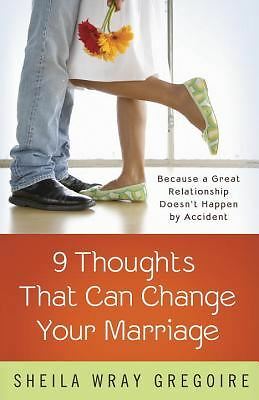 Each of the 9 thoughts is a great challenge to every married couple, no matter how many years together they are preparing to celebrate. Now, I am in no way saying that we are not happy. 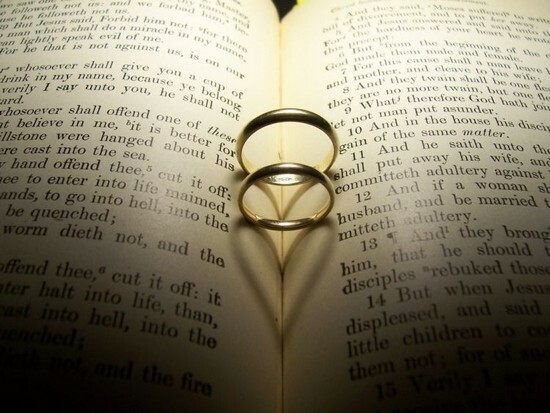 Far from it, we have a wonderful marriage. We make each other laugh every day, we know that we are each other’s priority, and there is no one I would rather spend time with. He is my rock, cheerleader and main prayer warrior – and he knows the same truths for me. But…I truly found myself challenged to find better ways to be a better wife. Thought 1 – “My Husband is my Neighbour”, Thought 2 – “My Husband Can’t Make Me Mad” and Thought 7 – “Being One Is More Important Than Being Right” hit me right between the eyes. I sometimes think that I forget that he isn’t the only one in the house responsible for the way we function as a couple. Yet, on days when I’m easily irritated – I could convince anyone that he is. And some days, those irritations come just a little to easily. Just this week, I’ve tried to walk the talk of these 3 thoughts, and you know – it’s not the easiest change I’ve ever made, but I can see that it will be worth it. If I stop and realize that the things that make me not happy, are not his way of making me crazy and really are more my issue that his, then I don’t snap and things don’t get tense…and then, well, then things are just much more pleasant in the house. A prime exmple of this is how we both re-energize. I married a man who is an “off the chart” introvert. He married an extreme extrovert. Now, an introverted preacher tends to come home from any service of worship as a small puddle. I want to talk about all the conversations I had after the service, and he just wants to be quiet, and preferably alone. I can take this need of his as a personal slight, or know that if I respect his need for peace and quiet – I will get all the time I need when he is ready, and when he can do that with the emotional availabilty and energy levels I need him to have. We recently attended a wonderful wedding. It was a meaningful celebration as 2 young people joined their lives and faith together. My beloved and I were honoured to be a part of the day. While the wedding is over, and they’ll be home from the honeymoon soon – there will be one more gift for them. I believe that this book is the perfect first building block (after a good Study Bible) for a solid, God-honouring marriage. I’ll definitely be recommending it for many weddings, and even suggest it as a part of any pre-marital counselling. I am thankful to Shelia Wray Gregoire and Waterbrook Press for the opportunity to independently review this book. I have received no compensation for this review.